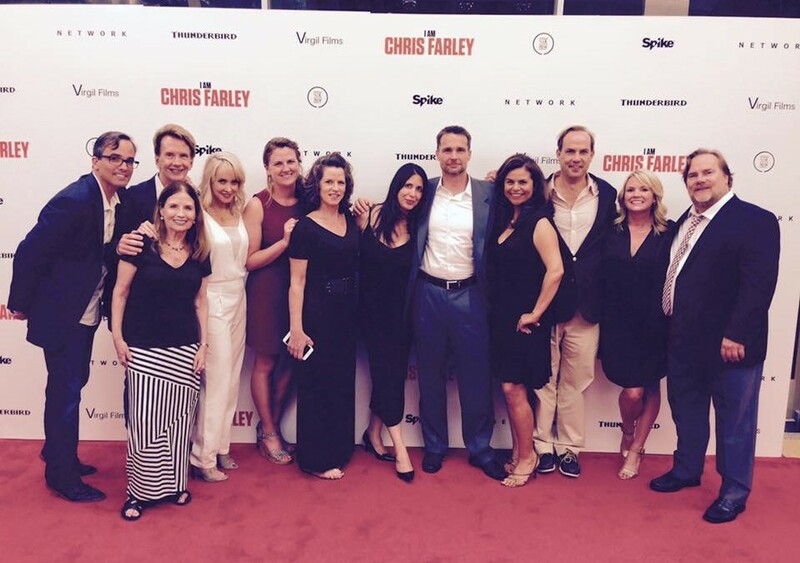 With the Farley Family and friends at the Los Angeles Premiere of “I Am Chris Farley” – a heartfelt 2015 documentary about the life of the beloved comedian. The film was co-directed by Brent Hodge of Hodgee Films and Derik Murray (who also produced) of Network Entertainment. The production features interviews with numerous actors, comedians and others who worked with Farley during his career. The film’s TV premiere was August 10, 2015 on Spike TV and had a simultaneous release on DVD/Blu-ray and Digital Download.